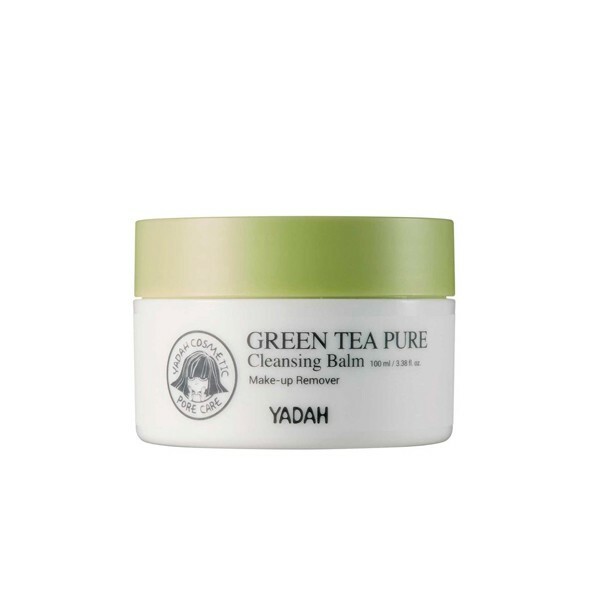 Yadah Green Tea Pure Cleansing Balm is a cleansing balm based on green tea powder that melts on contact with the skin assuming the consistency of an oil. Highly effective in absorbing micro powders, penetrates deep into the skin, even through makeup, and removes all residues in the pores without causing irritation. 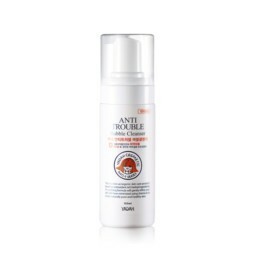 Removes makeup, even the darkest one, limits evaporation of the skin's natural moisture, prevents dryness, gives vitality. *The product may change color slightly because it contains natural green tea powder. How to use: Take a small amount on your hands. Massage over dry skin to lift off makeup and impurities. 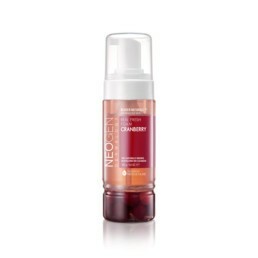 Add a bit of water and continue massaging to emulsify the cleanser to melt away stubborn makeup or UV product. Rinse with lukewarm water. 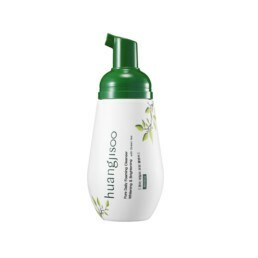 Ingredients: Palmitato di etilesile, trigliceride caprilico/caprico, sorbetto-30 tetraoleato, polietilene, Peg-7 Glyceryl Cocoate, Fragrance, Glyceryl Caprylate, Ethylhexylglycerin, Tocopheryl Acetate, Betula Platyphylla Japonica Juice, Estratto di Anastatica Hierochuntica, Iris Versicolor Extractus, Moringa Pterygosperma Seed Extractus, Perilla Frutescens Leaf Extractus, Rhododendron Chrysanthum Leaf Extractorius, Glicerina, Carthamus Tinctorius (cartamo) Oleosomi, Acqua, Squalane, Cetyl Ethylhexanoate, Neopentyl Glycol Diheptanoate, Hydrogenated Phosphatidylcholine, Alcohol, Hydrogenated Lecithin, Polyglyceryl-10 Myristate, Polyglyceryl-10 Stearate, 1,2-hexanediol, Cetearyl Alcohol, Polyglyceryl-2 Stearate, Acido stearico, Pantenolo, Carthamus Tinctorius (cartamo) Olio di semi, Oenothera Biennis (Primula), Ascorbil fosfato di sodio, Polyquaternium-51, Gliceryl Arachidonate, Glyceryl Linolenate, Biotina, acido folico, piridossina, cianocobalamina.